It’s so refreshing when artists challenge themselves to push the boundaries of their previous work, when you can’t help but know that each word, phrase, and musical note is carefully crafted and precisely placed. Siblings Tyler and Maggie Heath, who together are folkicana duo The Oh Hellos, have taken intelligent creativity to a new level with their forthcoming EP, Notos. 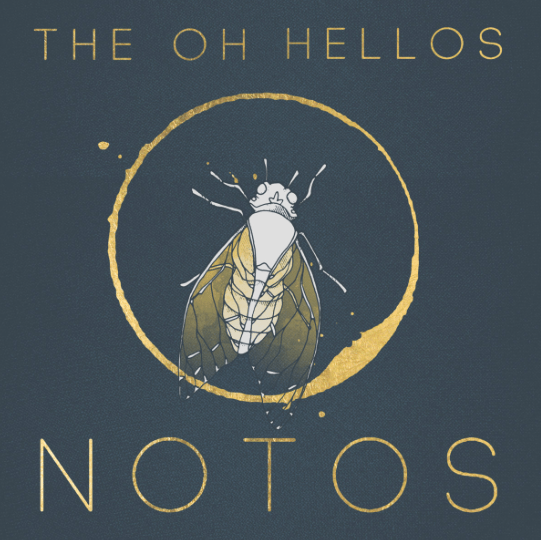 Notos is the first EP in a series of four to be released in the coming months; each is named after one of the four Greek mythological wind gods that bring the seasons, and each EP explores one overarching question—“where did my ideas come from?” With their first installment, The Oh Hellos sought to capture the feeling of childhood summers spent in the Pacific Northwest, and the experience of growing up in the Texas Gulf Coast, where the winds of weather often bring devastation and destruction. With each track, the pair creates a sonic storm that tethers the listener to the idea that nature is a living, breathing entity. Steady drum rhythms in album opener “On The Mountain Tall” call to mind the heartbeat of creation itself, as vocal harmonies and dramatic strings soar above the mountain that inspired it. In album standout “Torches,” the band touches on Celtic-esque rowdiness, using an army of voices in unison and furious strings willed into submission to create a sense of joyful, dynamic wonder.